National Assembly deputies urged the Government to continue to clamp down on illegal deforestation during a discussion on the country’s draft revision to the Law on Forest Protection and Development on Tuesday afternoon. “Illegal logging is still rampant in many parts of the country. Even forest rangers were found to be helping illegal loggers in some cases,” said NA deputy Nguyen Ngoc Phuong of central Quang Binh Province. 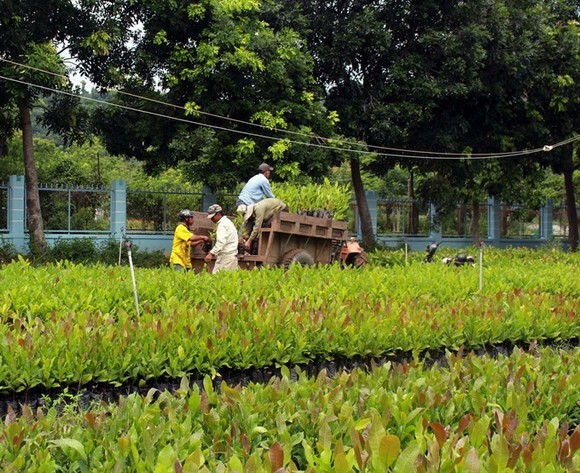 Besides increased efforts by law enforcement, Phuong also proposed the revised draft protect the economic rights of local households and communities whose livelihood relies on the existence of the forest. He said that local authorities and governmental agencies must be held accountable for illegal logging activities that took place under their watch, citing recent cases of forest violations that directly resulted from local authorities’ negligence. The first nine months of 2017 saw some 1,700 reported forest violations, which resulted in the destruction of 910 hectares of forest, according to Government meeting last week chaired by Prime Minister Nguyen Xuan Phuc. Phuong also called for more transparency and information-sharing in the implementation of environmentally risky projects. He cited the case of the Son Tra Peninsula in Da Nang, where numerous housing and tourism development projects posed a risk to the unique and diverse ecology of the peninsula. 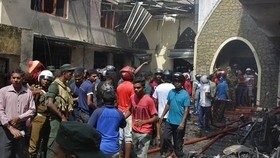 The city authorities’ failure to include the public and environmental experts in the process produced a large backlash and captured the entire nation’s attention. Deputies also urged government agencies to review existing policies related to the economic exploitation of forest resources, including land rights, step up co-operation with international partners and improve living standards for workers in the forestry sector. In response to NA deputies’ input, Minister of Agriculture and Rural Development (MARD) Nguyen Xuan Cuong reaffirmed the Government’s commitment to protect and develop the country’s forests. Cuong said while efforts in recent years have produced some encouraging results, such as increased forest coverage and a developing forestry sector, many challenges remain. The minister stressed the importance of building a strong law enforcement force with the country’s forest rangers at its core, capable of fully protecting the forests. He also reiterated the need to include local communities in the protection and development of the country’s forestry sector. 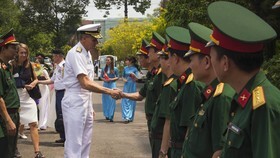 The National Assembly yesterday also underlined the need for Vietnam to shift from an economic model based mainly on natural resource exploitation to one with manufacturing and service industries at its core. The NA deputies met in groups to discuss the success of socio-economic development efforts and the Stage Budget 2017, and set plans for 2018. They applauded socio-economic results achieved by the Government in the first nine months of 2017. According to Tran Hoang Ngan, a deputy from HCM City: “This is the first time in 10 years that the Government has achieved all the targets approved by the National Assembly”. Government objectives fulfilled in the year 2017 include keeping inflation under 4 per cent; stabilising the economy and putting the budget deficit and public debt under control. The budget deficit fell by VND4 trillion (US$176 million) from VND178.3 trillion (US$7.8 billion) and the deficit was steady at 3.5 percent of GDP. The public debt at the end of 2016 of 63.6 percent of GDP is expected to decline to 62.6 percent this year. Because foreign investment increased in both the number of enterprises and volume of capital, Ngan said due support should be given to domestic enterprises in an effort to raise their competitiveness. The government should control some financial risks because the stock market capitalisation has reached 93 per cent of GDP, he said. If the world economy is unstable, it will affect the economy of Vietnam, he said. In a period of economic uncertainty, foreign indirect investment enterprises would withdraw their capital, leading to instability in the foreign exchange market. Therefore, he said, supervision and preparation are needed to maintain balance. Tran Anh Tuan, another deputy from HCM City, said the country’s exports were on the increase but depended heavily on FDI enterprises. Such enterprises as Samsung and Formosa had high export value but did not bring much added value to the country due to the low localisation of these products, he said. Tuan also pointed out that demand for retail goods of Vietnam had not yet developed, while the number of foreign retailers penetrating into the Vietnamese market is very large. This could lead to weak development of domestic enterprises in the future. The low disbursement capital for infrastructure development was also a matter of concern, he said. Due to inflexible policies for disbursement management, a shortage of capital was reported in a number of key local projects, while many other projects had not yet finished disbursement, he said, warning that this might affect the country’s overall development. 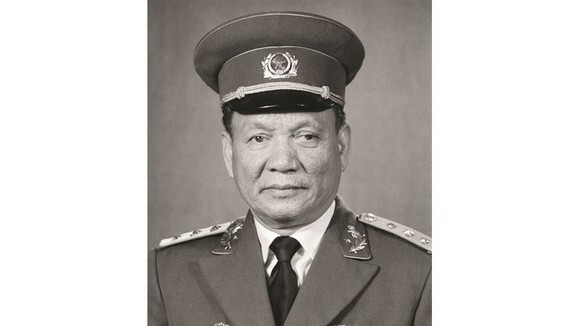 Dao Ngoc Dung, Minister of Labour, Invalids and Social Affairs proposed that the government speed up the disbursement process. 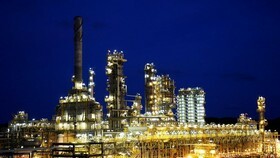 “Production could not develop unless the government pushes the disbursement of public investments,” he said. 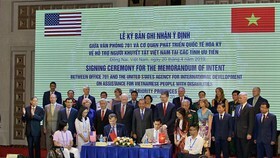 Although an initiative for the disbursement of funds for targeted programmes had been approved, about VND196 trillion (US$8.6 billion) was still stagnant, Dung said. To overcome the problem, the NA should pass a resolution on the need to limit the time of disbursement. 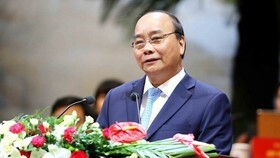 Regarding momentum for economic growth, Deputy Prime Minister Vuong Dinh Hue emphasised that Vietnamese economy was not developing based on extractive industries. In 2016 and 2017, the mining industry continued to decline and fall deeply. He took crude oil as another example. Crude oil exploitation was expected to reach 13.28 million tonnes this year, a decrease of 3 million tonnes compared with the previous year, a decline equivalent to a 0.75 decrease in the country’s GDP. Hue also said credit would grow by 9 percent in the last three months of this year but it would be mainly poured into the processing industry and agriculture. The processing industry was expected to increase by 13.5 percent -- the highest level since 2010. The increase more than offset declines in the mining industry, he said. On the same day, the NA approved the dismissal of Minister of Transport Truong Quang Nghia and Government Inspector General Phan Van Sau.